A couple of days ago I vividly remembered composing the January transactions and being happy because it helped me remember writing the year right ... it felt like it was just a month or two ago, and yet here we are, it's November: we've had a bit of an autumn storm this week and there is now just two months to the new year. John Garth has been interviewed for a BBC TV documentary at Thiepval Wood about Tolkien in the Great War. The documentary is scheduled to be aired in 2014. "Researchers at Oxford University are interested in hearing from any member of staff who may have worked on a BBC production from March 1968 entitled ‘Tolkien in Oxford’, presented by John Izzard." For details see the post at the Tolkien Library — I just hope they succeed as I think it would be interesting to get to know the stories of these people. Can he really not see the fun? Does he really mean that a pop-art project like this is not worth a single person missing a train? On the other hand it is of course unforgivable that they have misspelled Dol Baran (they spelt it "Dol Barad"!) ;-) Nah, it's a good joke and well worth missing a train for ... in my opinion. As I did for September, I will cut down a bit on my coverage of the scholarship from Medievalist.net and merely list headlines (in many cases I will not have time to read much beyond the headline in any case). ‘Why Cats were hated in Medieval Europe’ (1 Oct) — Tevildo, Berúthiel anyone? ‘Trial by Battle’ (4 Oct) — can anyone recall an instance of this practice in Tolkien's writings? ‘Looming Danger and Dangerous Looms: Violence and Weaving in Exeter Book Riddle 56’ (10 Oct) — Riddles and the Exeter book, how could I not be intrigued? An article from Leeds Studies in English from 2011. ‘Top Ten Monsters of the Middle Ages’ (13 Oct) — Naturally with dragons at the top. Nothing about the critics, though. ‘The millennium King Arthur: the commodification of the Arthurian legend in the 20th century’ (15 Oct) — A Master's thesis about the appearance of King Arthur in twentieth century (mostly American) pop-culture. From 2008, but it probably wouldn't consider Tolkien's The Fall of Arthur even if it had been possible. ‘Alfonso the Slobberer and Ivar the Boneless: Worst Nicknames for Medieval Rulers’ (22 Oct) — No Danish kings in the list, but a good assortment of undesirable nicknames. No Renewer or Elfstone on this list, though. A recent picture showing an artist's impression of the Solar System with names in Quenya for the planets has attracted some attention. Unfortunately the research behind the naming is not as sound as that of the foremost Tolkienian astronomer, Dr. Kristine Larsen, and so I will point people to her web-site rather than the flawed picture. A number of her papers are available on-line and form a true treasure hoard of Tolkien scholarship. OK, so this is the exception that proves the rule ;-) I am enchanted by this study not just because it studies the Icelandic Sagas or because it refers in passim to Tolkien, but also because it is another example of how statistical studies are entering the realm of literary studies (and of course it was first published in a physics journal which just adds to the ‘coolness’ ;-) ). We have the lexicometry that studies the frequencies with which certain words occur in a text, and which has been used to settle certain long-standing author disputes (Michael Drout's ‘Lexiomics’ is essentially a lexicometry project), and of course various scientific methods have long been used to place ancient manuscripts in time and place, but the statistical study of networks is a quite recent invention (or at least it has grown big with the growth of on-line social networking sites) that is now creeping into literary studies where it aims to study the social networks described in literature. In this case it is the networks from Icelandic Sagas that are being studied and found on some parameters to be more alike to real social networks than to the networks usually described in medieval heroic fiction. John Garth's articles about Tolkien's WWI experiences are always worth reading — well researched and engagingly written this is an excellent introduction to the importance of the Great War. Reporting the reading group's discussions nn the last chapters of John Garth's Tolkien and the Great War. I've said this before, but it bears repeating: if you have read Garth's book, you will certainly find the discussions of the Southfarthing Smial's reading group well worth reading. I rather like the point Gibbelins makes here when (s)he emphasizes how we need to distinguish between the less specific underlying spirituality of (particularly) The Lord of the Rings and the more specific Catholicism that is actually very rare. Estel, in this view, is a trust, and belief, in some spiritual reality that is greater than and above us, but it is not necessarily in the God of the Roman Catholic Church. On the other hand, I think it is important also to realize that there are some elements that are specifically Roman Catholic — it is just that they are fewer and further between than it is at times claimed. Perhaps as a bit of counter-weight to the article by Gibbelins above. While Gibbelins is probably making the error of ignoring the Catholic elements of The Lord of the Rings too much, I think that Fr. Longenecker makes the opposite error of seeing Catholicism everywhere, ignoring the non-Catholic elements and seeing anything that is not actually un-Catholic as Catholic. I think a more useful path for understanding the spiritual element of Tolkien's writings would lie in a synthesis / compromise between these two views. The Southampton Tolkien Reading Group of the Southfarthing Smial (are those actually identical? I suddenly realize that I do not know ...) finished John Garth's Tolkien and the Great War in September (if you start out on that book, I'd recommend to include the southerners' discussions in your readings) and have turned to Tolkien's own The Legend of Sigurd and Gudrún. As usual the discussion is much too far-ranging to summarize, but very much worth reading. Charlton points out that Tolkien obviously was optimistic about the prospect of the ‘next world’, but I disagree with him on two counts. First I think that people such as Tom Shippey and Verlyn Flieger have already pointed this out, but they do not overemphasize it, which is what I believe Charlton does in his analysis of the ending of the Silmarillion (which is my other point of disagreement). It is very important that we keep Tolkien's Catholic faith in mind, but also that we do not assign it too much importance. Tolkien was a rather complex author, and while his faith was very important to him, so were many other things that also inform his work. I would say that Tolkien's faith is more often the source for giving other elements a twist rather than being the original source of the element itself. First, Bruce Charlton seems to forget that the adverse weather (mists, winds, etc.) was always a part of the protection of Faery / Blessed Realm / Valinor / Undying Lands in Tolkien's mythology — what is special about the cases that he lists is that these sailors were allowed even a glimpse of the Lonely Isle, Tol Eressëa, before being blown back. This basic idea also seems to me both very believable and very powerful for any sea-faring people as the peoples on the north-western shores of Europe. The suggestion of Tolkien knowing ‘vivid visionary dreams’ the ‘Lands of the Gods and Elves’ is one that I would reject on the basis of the present evidence (i.e. there is no evidence and the burden of proof is entirely on anyone making such an unusual claim). A reaction to John Garth's article ‘Tolkien and the boy who didn’t believe in fairies’ (see last month). Sometimes it is good to be reminded that Tolkien's dislike of the diminutive Victorian flower fairies is so well known that it is surprising to many that this is where he started. An intriguing idea, but I think Sørina Higgins means it more as a slightly provocative appetizer for a more traditional comparitive study of the Arthurian writings of the Inklings — a very good idea! BC, Monday, 28 October 2013, "Lord of the Rings: ‘Deeply sad, almost without hope...’ True - but only in a literary sense"
A curious post where I find myself more or less agreeing with nearly all of the points that Charlton bases his argument upon and yet find myself unable to agree with the overall conclusion. A part of the problem may (I am not sure) be that Bruce Charlton seems to me to base his argument partly on his own presumption of what Tolkien's religious feelings should be and then he interprets the texts to suit that presumption. This feels to me too much as affirming the consequent — or ‘begging the question’. I am uncomfortable with Bruce Charlton's ideas about Elf-friends, but I cannot put my finger on it exactly. But whether one subscribes to that idea or not, the thoughts about Númenor and the Númenóreans as a middle ground between Faërie and Middle-earth and between Elves and Men are interesting. As so often before — including in posts this month — I find that agreeing or disagreeing with Charlton is not what it is about: for me it is about being challenged in my reading in a good way — a way that makes me think and re-think my position, which inevitably leaves me wiser even if I end up in the same place where I started. A review of The Fall of Arthur from a medievalist. Mueller does not just have praise for the book, and whether one agrees or disagrees, his criticisms are worth pondering, not just because they are well argued, but he makes it easier by delivering them with a great deal of respect for the poem and the book. Sørina Higgins has put out a call for papers for a book on the Inklings and King Arthur that will be edited by herself and will probably appear some time in 2015. Though I think the comparison of Lancelot and Eärendel is rather missing the point, I do hope and expect that this volume will contribute valuable scholarship for putting Tolkien's Arthurian poem in context. 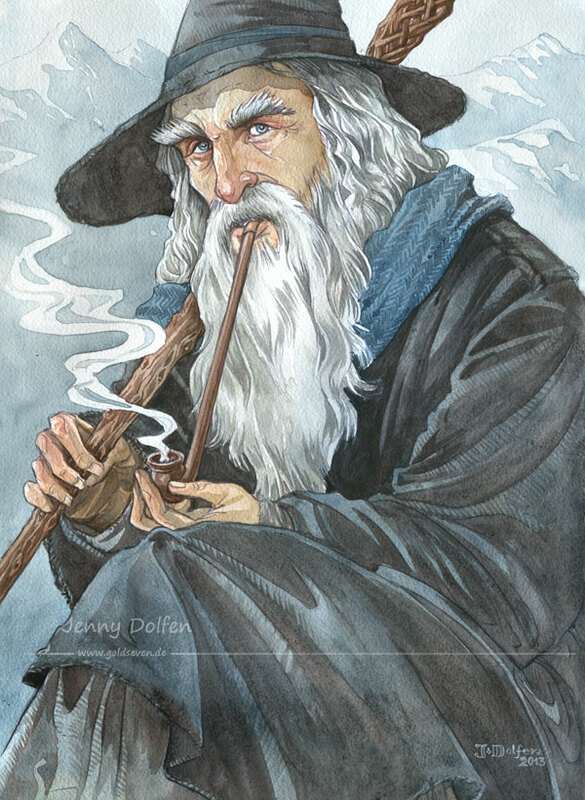 Jason Fisher has posted again :-) This time he comments on his own appearances in the latest issue of Tolkien Studies including reviews of his work, citations and of course the double review he did himself of the two Hobbit books by Mark Atherton and Corey Olsen. Another interview with Jemima Catlin, Pieter Collier has of course had the benefit of both the book and the interview in The Big Issue when preparing the questions, and since Pieter is also a keen Tolkienist, the interview covers some angles of particular interest to fellow Tolkienists such as e.g. the degree of inspiration from previous works to illustrate The Hobbit. There are some quite interesting answers by Adam Roberts in the middle of this on the more general role of the riddle in The Hobbit (not just in ‘Riddles in the Dark’). These answers have certainly helped put Roberts' book a little higher on my wish-list. Announcing an exhibition in Aberdeen on November 11-18th with several Tolkien-inspired artists. Another of the missing Cor Blok paintings has been found. Now the list of Cor Blok paintings which location is unkown is down to a dozen or so. Celebrating the first anniversary of the blue plaque and listing a number of resources (including some charming old photographs). Christina Scull writes about the problem that will inevitably face any dedicated collector: lack of space. If one is furthermore a dedicated collector that desires to keep a degree of order in one's collection, the task will just become even more difficult. I admit that I occasionally lost track of books and shelves, but it is heartening to know that there is at least one place where all these editions are kept in order. A warm expression of gratitude to Christina Scull and Wayne Hammond for their dedication and hard work! Well ... it seems like a perfectly natural thing to do, doesn't it? ;-) Another way to put it would be to ask ‘what is in a name?’ — a question that is seen very often in Tolkienian discussions where names are considered important. Marcel here tries to tell us what is in the name of ‘Tolkienist’. Bruce Charlton received a kindly note from Tolkien written by Tolkien's secretary, Margaret Joy Hill — ‘MJH’ less than three months before Tolkien's death. Joy Hill handled much of Tolkien's fan mail from the offices of George Allen & Unwin, but she often visited Tolkien, the last time in August 1973 (see more details in Scull & Hammond, The J.R.R. Tolkien Companion and Guide: Reader's Guide pp.366-7). I might add that there's more to Tolkien (and particularly his portrayal of good and evil) than the Elves and Orcs. When faced with this kind of oversimplifying misrepresentation of Tolkien, it is common among Tolkien enthusiasts to dismiss it as just ‘more of the same’ instead of engaging in a dialogue with it. But is it not true that the portrayal of Elves and Orcs in The Lord of the Rings gives an unsophisticated picture of good an evil? The sophistication is only added when you realise that these are in many ways embodiments of certain distillations of human nature — the Elves embodying the artistic, wise and generally good sides of humans (at least in LotR — the picture is more complex in The Silmarillion) and the Orcs the violent and hateful sides, but the human races of Tolkien's mythology, the Big Folk and the Little Folk (as they said in Bree), comprise all the various sides of humans and shows the sophisticated pictures of good and evil — with good being the extremely difficult choice that is nonetheless portrayed as possible. Pieter Collier has been looking at the trends of some Tolkien-related search terms in Google Trends, and he gets what we might say is the expected answer. Speaking as a scientist with some knowledge of statistics and data analysis, I am a bit dubious about how these things are used — there are some traps for the unwary (e.g. ‘correlation is NOT causation’), and there is the question of what lies behind a search term — what is it combined with, what is generating the interest (what is, for instance, the two or three searches from that computer before and after the one we're looking at), etc. etc. All in all I would warn against trying to interpret the data beyond the obvious (media coverage causes search interest ... that much is pretty obvious). Update: The article has been updated with data from Google Books Ngram viewer stretching further back. Jef Murray has kindly given me permission to use his artwork for this blog (as you will have noticed). Personally I am completely enchanted by his sketch-work (as with Alan Lee, I tend to prefer their pencil-work). But don't let that deceive you — a work such as Tuor and the Swans is too good to miss (as you can see below). As you can see above Joe Gilronan has also allowed me to use his work for this blog. He paints some evocative paintings that at first sight seem to define the scene completely, but when you look closely, they still leave the viewer to define crucial details from their own mind's eye. As with some other recent artists, Gilronan cannot wholly escape the imagery of the Jackson films even where they contradict Tolkien. Like Jef and Joe, Jenny has kindly allowed me to use her work. Unlike Jef and Joe, however, Jenny's work is mainly character studies, and she tends to define her characters in detail. Her Tolkien work is, however, based on very close readings of Tolkien's writings, and I her paintings always manage to remind me acutely of Tolkien's texts, making me react to the painting as if to Tolkien's words. 1 Tolkien-related posts in October 2013 which is listed above. 13 Tolkien-related (and a couple of posts at further remove) posts in October 2013. Besides those listed above, there are a couple of posts on comic-book adaptations of Tolkien's works, a new deluxe edition of Unfinished Tales and a new boxed collector's hardcover set, as well as a short (and IMO somewhat exaggerated) guest post on Tolkien's influence. In addition to the post listed above, there are a couple of other posts about Tolkien fans. 2 Tolkien-related posts in October 2013. In addition to the post listed above, there is the 10 October post describing an outrageous critique at a teachers' training session. 1 Tolkien-related post in October 2013 and one of medievalist interest. Both listed above. 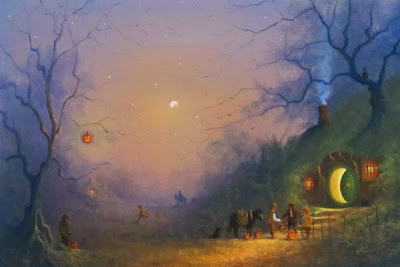 1 Tolkien-related posts in October 2013 — the review listed above.